October has been challenging on many fronts. I have many quilts to get done before Christmas, some quite large and some very detailed. I also have two of my own in the works, or I should say "in the finishing stages". 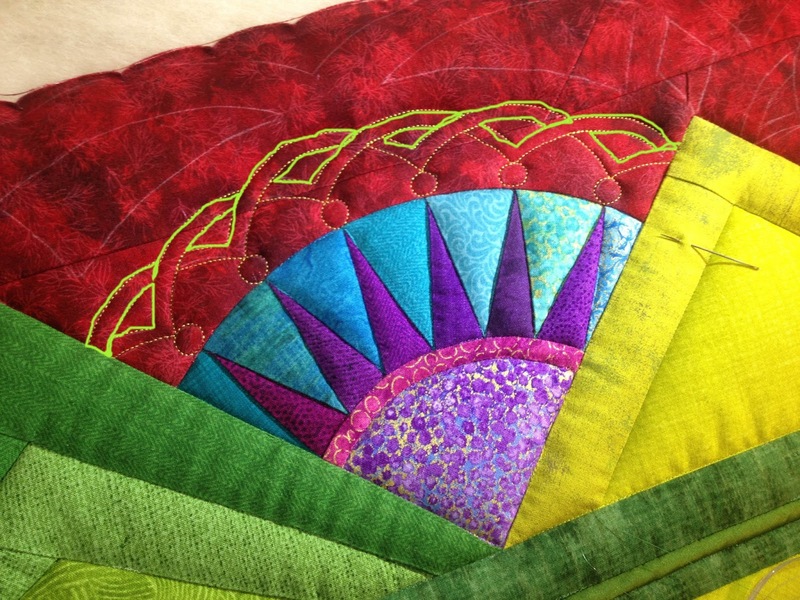 There are always other stragglers that are being stitched on but not at the quilting stage. October has been a wretched month though for the stay at home worker. The kids have had 3 days off, and have a 1/2 day next week. We are very busy with soccer, and gymnastics, and homework - making me have not enough tine to process and think about designs. Being scattered and disorganized causes stress. I have an 8th grader -- he creates WAY too much of that anyway. Here's a few finishes. This is a redwork quilt. 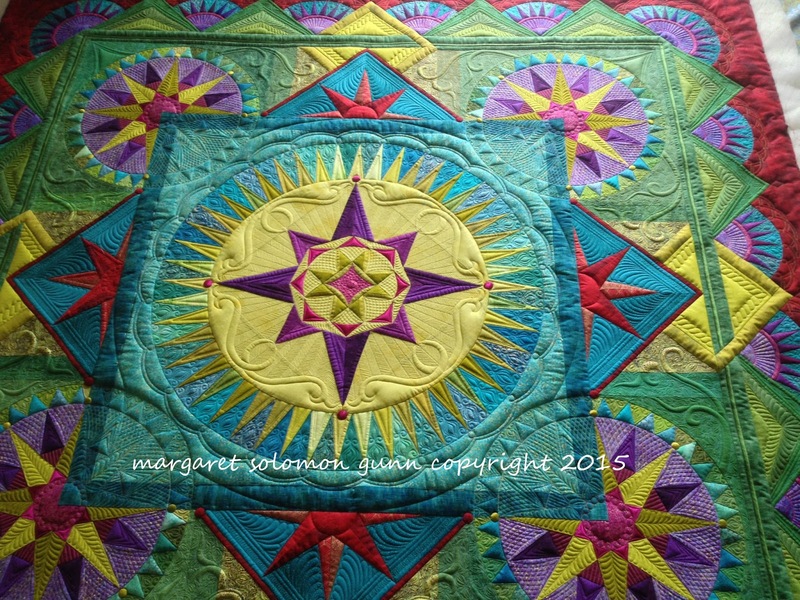 I would have loved to have had more budget to do custom quilting on the pieced stars, but that is life. This was the only place to realistically cut the cost down, so they are E2E. The redwork scenes were custom quilted with simple details. Looks like this one uploaded upside down...dang. Guess you get the idea tho! Another in red and white... Ohio stars. 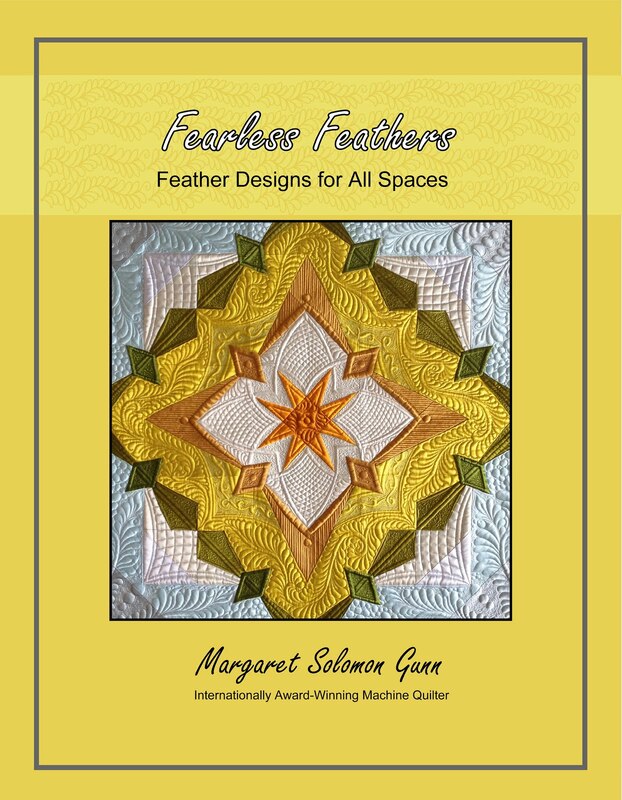 It has budget-friendly custom quilting, with some ruler work and lots of feathers. It has a cotton 80/20 batting, and Glide white thread. The arc feathers create a pretty secondary pattern. The only area of this quilt that was challenging was the sashings. 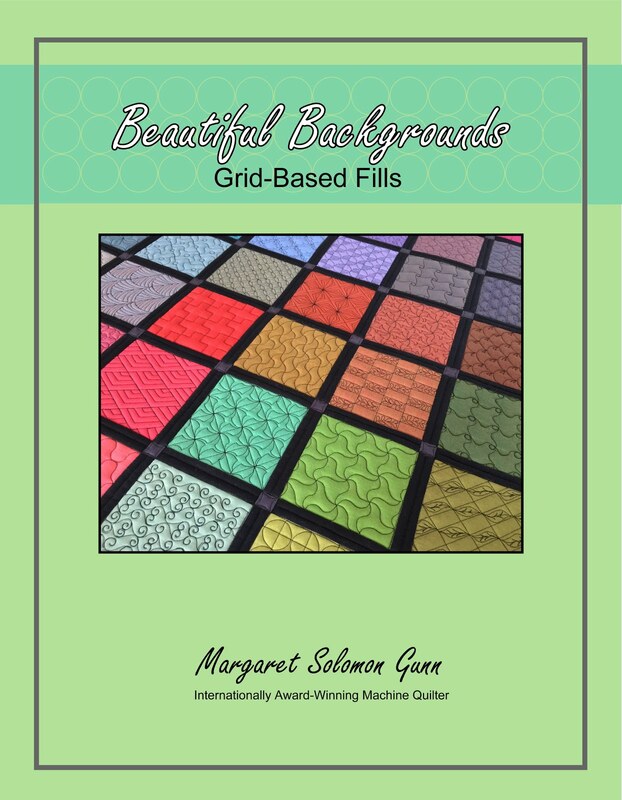 The striped fabric didn't always meet at the same place in the print, and some of the intersections were not ideal -- making most conventional designs for sashing quilting not good choices. I needed to choose a design that drew the eye away from the sashing piecing. The next pic shows what I mean... Most intersections were decent, but half a dozen or so needed adjusting. I chose this red stipple-filled square/diamond to bring the red into the sashing. This is a traditionally-pieced quilt using more modern fabric choices, so I felt that I could juxtapose the traditional feathers with a more modern sashing. I think it worked, and draws the eye away from the piecing. The back is completely white, and the only non-white thread is on the sashings. It looks really cool. Last quilt - from a couple weeks ago. This quilt is all in Westminster prints and coordinating solids. The prints are challenging to quilt, as it is hard to get patterns to show effectively. I used line work, some feathers and free-handed continuous curves. The center has a panel of hand-stitched hexies. Fun to see everyone's interpretation of the newest craze! Remember this picture...I'll refer to it in a minute. More continuous curve and flowers that are stitched by following the print on the fabric. The thread of choice for this quilt was a lavender Glide. It blended with nearly everything. This is the first quilt in ages that I got off the frame, was pleased that I made the estimated budget, photographed, and then stood back and said "hmmpphhh? I don't like this". The next morning I reloaded it, and added a good hour of stitching to the grey square border. The puffyness just wasny sitting well with me, and the quilt didn't lay properly. This area was underquilted. See how much better this looks compared to the photo I referenced above? All I added was dense filler in the gray triangles. This quilt is home already, and the first two left here yesterday, en route for the west coast. I have a monster 100+x100" quilt loaded presently that I am doing my darndest to procrastinate the quilting on. I am currently 15% done, with little motivation to get through it quickly. Sigh... I am going downstairs to work on my hexagons for a couple hours. I have taken off the star points I showed a month ago, and with newly dyed silk in hand, am redoing these blocks. I will add that I just love how they are coming out. The backtracking is worth my effort. These will be gorgeous set on the champagne-colored silk, someday! I'll leave you with a glimpse of New England's fall color, taken a week ago, and my pretty littlest bunny. I, personally, refuse to believe that fall is ending because that doesn't leave me in a good mental state for what comes next. I'm just not cut out for this climate. Just wish my husband could get it. Here is another quilt like the one I showed last week (which was actually quilted in the early spring). It's gorgeous applique, and this client of mine from CA (what are the odds that BOTH of these pretty quilts were made by ladies from Napa?!) does exceptional applique. 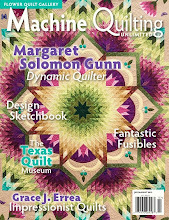 Gosh, maybe she'd like to applique a show quilt for me...tee hee. I totally flubbed the photos of this quilt. They were done with my phone. I thought they were going to be fine, good light and all, but look at the crud I got! Go figure, the quilt is already in a box, so I won't disturb it for another photo shoot. I used a single layer of Hobbs Tuscany wool - shows off the applique beautifully. The thread on the entire quilt is cream Bottomline. This is a 60wt thread so it is very thin. I rarely use this as a top thread. I think one time years ago it gave me issues, and I swore not to use it again. Rules are meant to be broken. This quilted up beautifully, with no thread buildup, just glorious texture. Plus, it is much cheaper than silk! The body of the quilt is filled with pretty, flowing, curling feathers. It just breathes romance. Much of the feathering is just with a randomly sketched like for the spine, but there are some places where I was careful to create beautiful symmetry. The back, though not evident by my cruddy picture, is beautiful. Jean also sent me a couple of ~30"x30" wall-hangings also. These are clearly by the same pattern, and same fabrics. I quilted them differently for fun. She's giving them to friends of her's as gifts. The border fabric has this subtle check printed on it - sure made doing the cross-hatching a breeze...not super fast, but basically brainless. This mini got a fun feather filler that I do, and a different design in the corners. It has wool batting and a Glide thread. Both of these minis have a flange stitched before the outer border. I think that these must be the rage right now. I just got another quilt today that has blocks flanged off. I did one a few weeks ago too. The flange looks great when it is just a flimsy, but they have a wretched habit of not laying as well after quilting. I always caution quilters that they may get the quilt back and decide the flange needs stitching down. This background is a pebbly version of a McTavish. Same batting and thread I believe as the other mini. And...the back, because you just can't see what I did on that border by looking at the brown printed top! It is a little different. One reader asked me to show the path I used to stitch this scallop border. BTW...You are blogger no-reply so I cannot just email you the information. 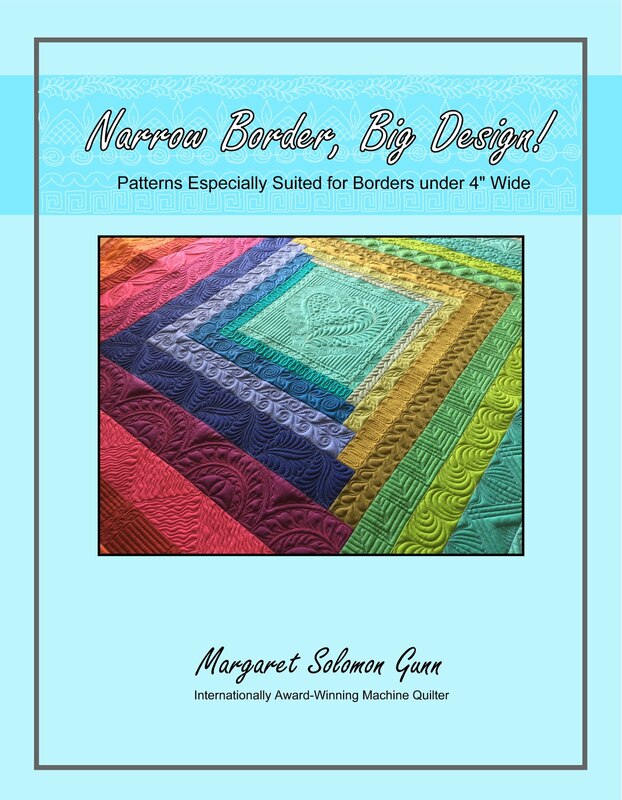 This border is actually one of the more straight-forward and quick things on this quilt to stitch, oddly! If you can follow my pictures, the path is pretty clear. I stitch the arcs using 2 small (approx 3" and 3-1/2" circles) templates. The tiny circles are free-handed. There is a little bit of re-tracing here and there so you have to be especially careful with contrasting color thread. Now we start the lower stitching, going right to left. The tiny circles are stitched as the V-point is passed. Hopefully this helps. I did mark the path with a chalk pencil prior to stitching so that I knew when lines were to appear in the foreground versus behind an arc. March, you ask?...yes apparently I finished this in March and it was never posted. 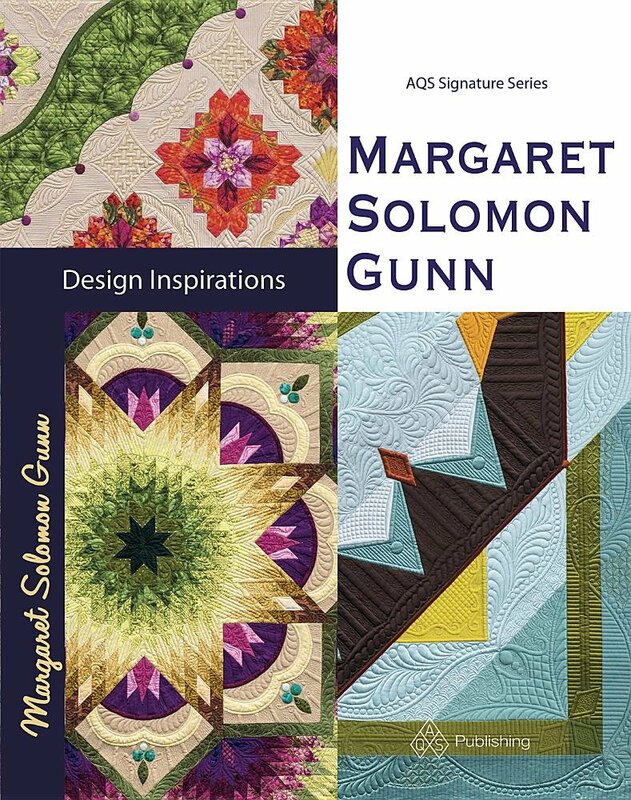 Actually, I have another client that has sent the very same quilt, and I told her she could see what I did on a previous one, and then it just could not be located on this blog. I'm assuming I was too busy and never posted pictures. So for your benefit, and her's, here it is! I can't tell you who designed this, but it is lovely. The background is scrappy neutrals. I quilted this with either So Fine or Glide (hard to tell), and I know it has wool batting. Every applique is outline stitched with clear nylon thread -- a task that takes 6-8 hours with this much applique. While much of the background is quilted with meandering feathers, it is broken up somewhat with some framing around the flowers. Look at the attention to detail...the flower centers are fussy cut! The outer edge has simple, yet effective 1/2" lines to finish it and draw the eye outward. It is a technique I use frequently, and really like. Stay tuned next week for another version of this same quilt! 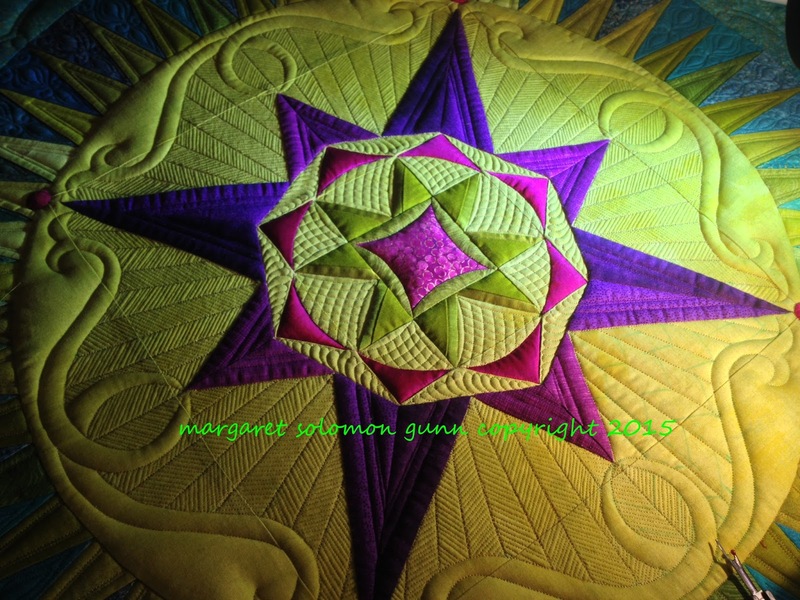 Today, I get back on my piles of client quilts, many of which are needed by the holidays. A little glitch with my machine has been tended to so I won't have the same issues I had while quilting on this quilt shown here (the top roller was slipping making it like quilting a hammock - Hail to the glory of duct tape though!!). This is the quilt I pieced in the spring and early summer. It is my diversion...my distraction. Sometimes, I just need to mindlessly piece. But after putting this top together, I have seen the error of my ways, and will probably go back to the less rigidly designed tops, as they have a greater ease to hide mistakes! When a design is laden with lots of straight lines, it is very challenging to keep them all straight! 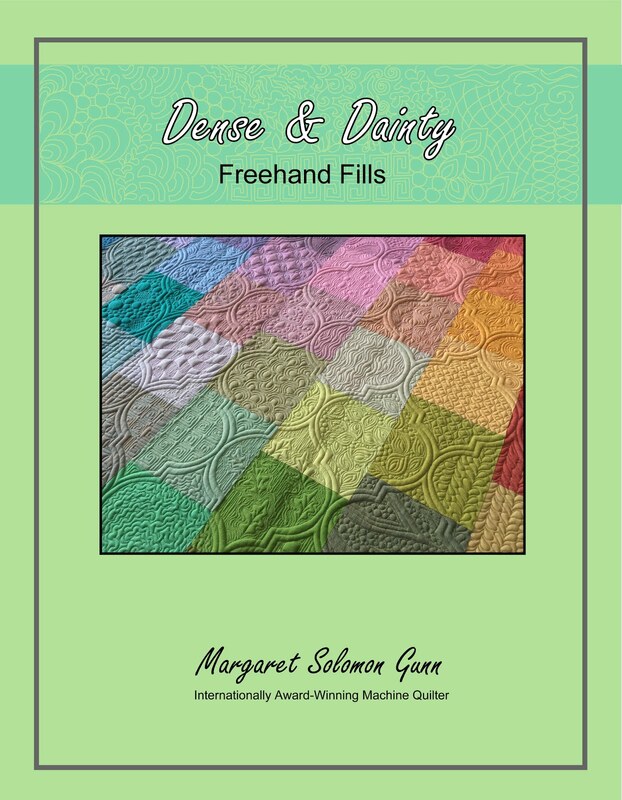 Curves are more forgiving, and a little easier to quilt. Never the less, I will trudge onward, hoping that this top will yield a good show quilt. One never knows at this stage! 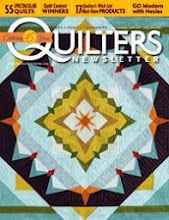 I see all kinds of issues, but will have to see what is coverable, or fixable or blockable once the quilting is finished. I'll take another 2 weeks to hopefully almost complete this in December. It may not be obvious to everyone what is incomplete, but there are some sizable holes of unquilted space. Many of them. It took longer than anticipated to get this far because there was a lot of thread changing -- clear Monolon, then a green Glide, and a gold Glide, then the red, then an aqua, REPEAT! It gets very time-consuming. The other challenge is that these fabrics, for the most part, are not solids. They may read that way from 3 feet away, but most have a good bit of printing on them, making the visibility for quilting decreased. Pretty to look at versus hard to quilt...the connundrum of quilting! I have a big client quilt loaded today that is now calling, so have a good week!